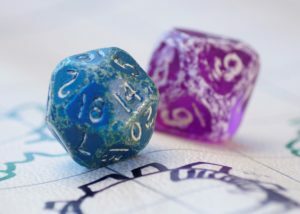 If Funny-Shaped Dice is really about anything, it is about a love of gaming and a deep desire to reconnect with the most amazing hobby and people, outside of my wonderful wife and three amazing kids, with which I have ever been connected in my entire life. 30 years later, I still have the blue 20-sider I got with that first set. My box was missing a 10-sider; the comic shop guy gave me this one instead. 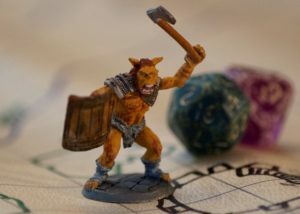 My first experience with role-playing games was with Dungeons & Dragons “Basic”. Played “The Keep On The Borderlands” when I was about 9 or 10 years old. I remember it was amazing! What a great game! You mean, I can do anything I want? Whoa. In 6th grade, I got my own copy, the old red-box edition, and I was hooked. There is nothing like table-top role-playing with the right group of people. It is a hobby that will lead you in so many different directions and expose you to people, things and ideas you’ve never experienced before. I could go on and on. There were so many positive things that I took away from this hobby, and the experiences that it provided to me, that directly contributed and influenced who I became and the successes I’ve had. I may not do a lot of these things now but I have fond memories of them. 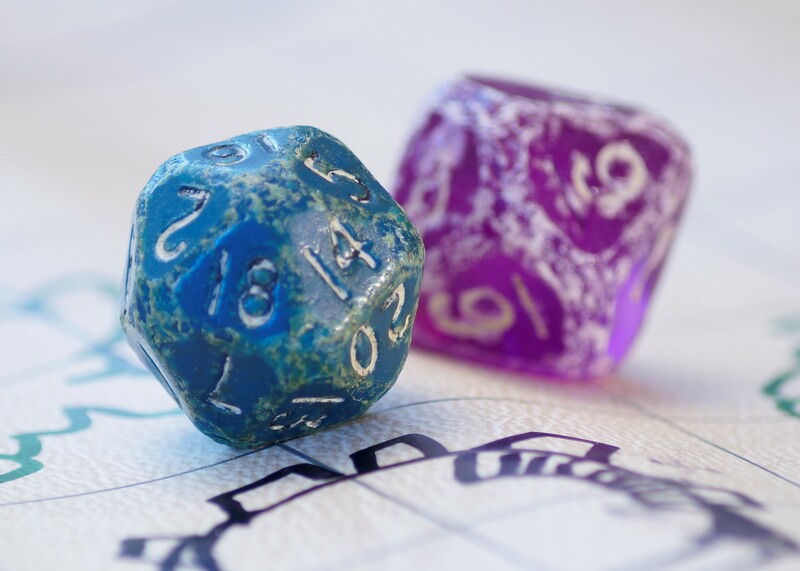 At some point in the future I hope Funny-Shaped Dice becomes much more about contributing and giving back to a hobby and to a community that had a tremendous influence on the person that I’ve become. I hope you’ll join me on this adventure and come back to visit often.